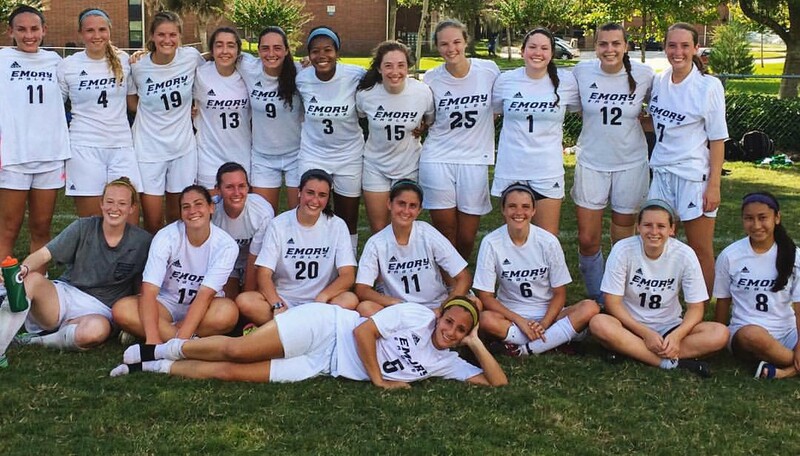 Welcome to the home page for Emory Women’s Club Soccer! We are excited to have a website of our own to share important team information with the public. We have worked really hard to build this club team up to this point , and we appreciate all of our fans and supporters! We are an officially charted Emory Club Sport. We practice two evenings a week and play a game each weekend. Practices and home games are held at Kaminsky Fields (Lower Fields). Our official season is during the Fall semester, however, we usually schedule about 8 games during the Spring semester as well.